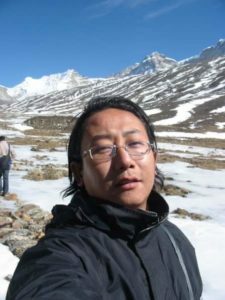 Tshering is employed as an Assistant Professor, English department at Sikkim Government college. He is an aspiring poet who has participated in a few literary festivals in the north east. He loves to travel and this accounts for him having worked as a tour operator before he switched professions. Any opportunity he gets, he still heads out into the mountainside for a trek to revive his connection with nature.